Alta ( listen ; Northern Sami: Áltá; Kven: Alattio or Alta) is the most populated municipality in Finnmark county, Norway. The administrative centre of the municipality is the town of Alta. Some of the main villages in the municipality include Kåfjord, Komagfjord, Kvenvik, Langfjordbotn, Leirbotn, Rafsbotn, Talvik, and Tverrelvdalen. The 3,849-square-kilometre (1,486 sq mi) municipality is the 7th largest municipality by area out of the 426 municipalities in Norway. Alta is the 55th most populous municipality in Norway with a population of 20,446. The municipality's population density is 5.6 inhabitants per square kilometre (15/sq mi) and its population has increased by 13% over the last decade. The municipality of Alten-Talvig was established on 1 January 1838 (see formannskapsdistrikt). On 1 January 1863, the municipality was divided into two: Talvik to the north (population: 1,938) and Alta to the south (population: 2,442). On 1 January 1964, the two municipalities were merged back together to form the new, larger municipality of Alta. Prior to the merger, Alta had 6,629 residents and Talvik had 3,266 residents. The borders have not changed since that time. The municipality is probably named after the local Altafjorden. The name possibly comes from the Old Norse (ǫlpt or alpt) which refers to a swan or it is a Norwegianization of the Finnish word (alaattia) which refers to a "lowland". Prior to 1918, the name was written Alten. The coat-of-arms is from modern times. They were granted on 9 July 1976. The arms show a white arrow point on a blue background. The arrow is derived from the findings of quartzite arrow points dating back to the late Stone Age and found in the area. 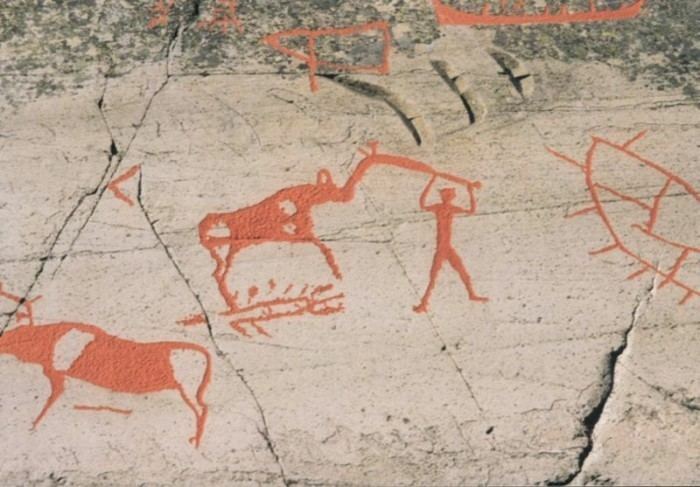 The quartzite was quarried in the municipality and tools made from it were used all over Northern Norway. The Church of Norway has two parishes (sokn) within the municipality of Alta. It is part of the Alta deanery in the Diocese of Nord-Hålogaland. 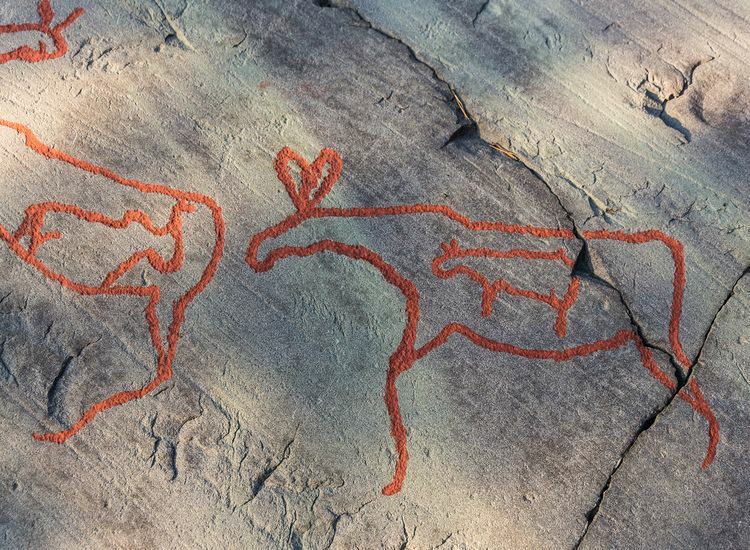 The rock carvings at Alta, dating from c. 4200 BC to 500 BC, are on the UNESCO list of World Heritage Sites. The Komsa culture was named after the Komsa mountain in Alta municipality, where the first archeological remains of this culture were discovered. In the aftermath of the Sami Kautokeino rebellion of 1852, rebel leaders Mons Aslaksen Somby and Aslak Jacobsen Hætta were decapitated at Elvebakken in Alta on 14 October 1854. Their bodies were buried in graves just outside the Kåfjord Church graveyard in the village of Kåfjord in Alta, but their heads were sent on to the Anatomisk Institute at the Kong Medical Frederiks University in Oslo, where they were kept for more than a century as part of the university's skull collections. The two skulls were only relinqinished by the university in 1985, following a controversy and protests by Sami activists, and were in November 1997 buried at the Kåfjord Church in Alta, at the same spot as their bodies were buried over 140 years earlier. During World War II, the German battleship Tirpitz used the Kåfjorden, an arm of Altafjorden, as a harbour, and was damaged here by attacking Allied warplanes. The town Alta was seriously destroyed by fire near the end of the World War II. It was rebuilt in subsequent years. The Altasaken in 1979 made headlines for weeks, as many people (especially Sami people and environmentalists) demonstrated and used civil disobedience to prevent the building of a dam on the river Altaelva in order to produce hydropower. The dam was built, however, and the river still offers good salmon fishing. The king of Norway usually visits the river once in the summer to fish. The urban area made up of Bossekop, Elvebakken, and Bukta, also known collectively as Alta, became a town on 1 January 2000. The population has been growing steadily for many years. All municipalities in Norway, including Alta, are responsible for primary education (through 10th grade), outpatient health services, senior citizen services, unemployment and other social services, zoning, economic development, and municipal roads. The municipality is governed by a municipal council of elected representatives, which in turn elect a mayor. Alta is the second northernmost city in the world surpassing 10,000 inhabitants. Alta municipality covers 3,845 square kilometres (1,485 square miles), in the west of the county, mostly situated along the Altafjord, taking in large tracts of woodlands, as well as parts of the High Plateau of Finnmarksvidda. On its way from the plateau down to the fjord, the river Altaelva has carved out the Sautso canyon, one of the largest canyons in Europe. The large Altafjorden has several notable bays and fjord arms that branch off from it including Langfjorden, Jiepmaluokta, Kåfjorden, and Lille Kufjorden. Alta is based on the mainland of Norway, but it also includes parts of the islands of Stjernøya and Seiland. Seiland is the home of Seiland National Park where the Seilandsjøkelen glacier and the mountain Seilandstuva. Several of the notable lakes in Alta include Iešjávri, Juovvajávri, Kovvatnet, and Stuorajávri. 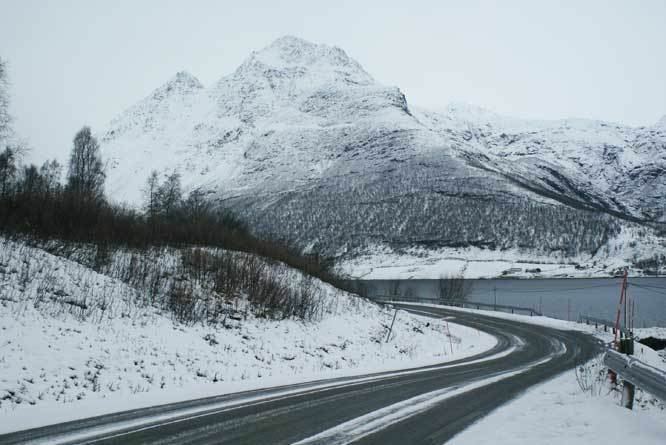 Most people live in the town of Alta, stretching along the inner part of the fjord, enjoying a sheltered subarctic climate, where daily mean temperatures are above 10 degrees Celsius for only 3 months of the year. Daytime mid-summer temperatures are often comparable to southern parts of Norway, and lowland areas in Alta are mostly sheltered from the winter storms. The mean annual temperature is 1.3 °C (34.3 °F) (1961–90) and the Alta valley does not have permafrost but is dominated by closed-canopy forest of birch and pine. Precipitation is low, with a yearly average precipitation of only 420 millimetres (16.5 in). The frequent clear skies are the reason why Alta early was chosen as an excellent location for studying the aurora borealis. The "midnight sun" is above the horizon from 18 May to 27 July, lasting a bit longer than the polar night from 26 November to 16 January. For those interested in bird watching, the river outlet, known locally as Altaosen, is well worth a visit. This tidal area is used as a stopover for many wetland species. Alta is a transportation center in Finnmark. Alta Airport served 334,132 passengers in 2009. There are direct flights to Oslo, Tromsø, Vadsø, and Kirkenes. The town of Alta also has port facilities in the town center, and European route E6 passes through Alta. The distance to southern Scandinavia is considerably shorter over road 93 and northern Finland. Main activities in Alta include trading, small industry, education, and public service. The town is also famous for its slate industry. Finnmark University College (Norwegian: Høgskolen i Finnmark) is situated in Alta, and there is also a research institution (Norut NIBR Finnmark). The town has the northernmost ice hotel in Europe. Alta is home to the football club Alta IF. Cross-country skiing is very popular. Alta also has clubs for handball, track and field, alpine skiing, ice skating, taekwondo, and judo. The bicycle race Finnmark Offroad, with 700- and 300-kilometer long courses, starts and ends in Alta (as of 2014).